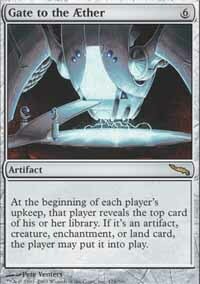 card text: At the beginning of each player's upkeep, that player reveals the top card of his or her library. If it's an artifact, creature, enchantment, or land card, the player may put it into play. Wow, this is incredibly awesome. My deck has lots of creatu ..